The biggest myth in angel investing and venture capital is the degree to which investors care about the original idea. Please do not get us wrong: they care; they just care about other factors substantially more. Why Do Entrepreneurs Think The Idea Matters So Much If It Doesn’t? The idea. It is what is written about in TechCrunch. It is the center of the discussion with investors. It is what you opine about over drinks with your friends. It is what customers use to differentiate you from their other choices. These situations trick us into misplacing our attention. A metaphor to help describe what we mean: the difference between five year olds playing soccer VS Major League Soccer players. When the kids are five, all they care about is the ball, which means they all clamor around it as if it’s the only thing that matters. Some refer to this as herd ball, because it’s surely not soccer. But as the players mature they spread out around the entire field and use each other as if they were cogs in the same machine. Sure, the professionals are watching the ball – but they’re equally concerned with what their particular job at that exact second is. The game is far more complex than just where the ball is. In this metaphor, the ball is the idea; the more sophisticated the entrepreneur gets the more they realize there is a lot more to the game than where the idea is at. So What Do Investors Care About? The main reason why the original idea does not matter that much, especially at such an early stage, is that it will evolve considerably over the years. An angel investor that gives too much credence to the idea at the radically early stages creates the same problem as a person who gets married in their early twenties. As anyone who has survived their twenties can attest, you change a lot as a person during these years. You figure out who you are by making mistakes and learning from them. Since everyone goes through this process, marrying someone else before they truly discover themself simply puts you at risk of winding up with someone incredibly different than who you first fell in love with. And so it goes for angel investors. There are millions of examples of now successful companies that started out doing something radically different than what ended up making them successful. As a founder, your job is to be comfortable with the evolution of your idea. When done properly, it’s one of the most beautiful things to watch unfold – even if you look back one day and notice your business is unrecognizable from where it started. So an investor thinks your idea has no merit? Or they think the market isn’t big enough? Or they don’t think the founding team has the experience required to tackle such a big problem? These types of fears are warranted for venture capital, because when something goes wrong, their money burns faster than fire. 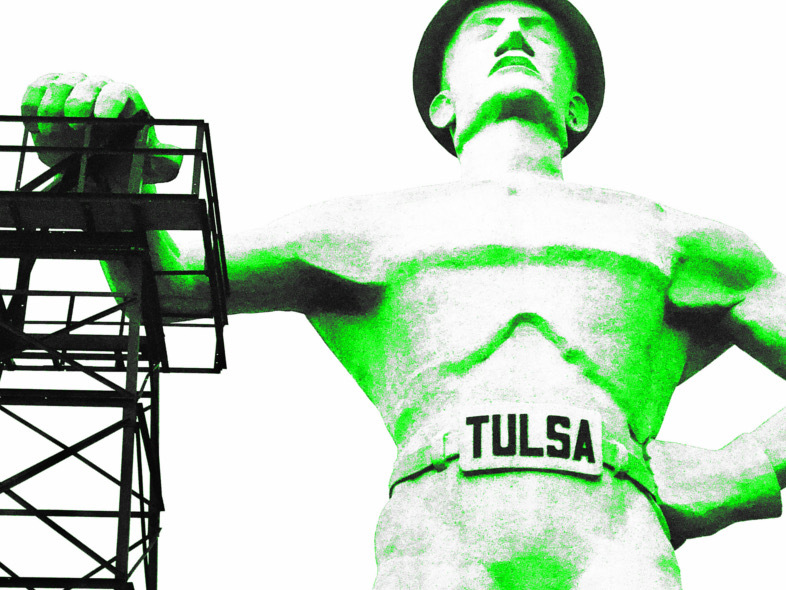 But how can you as a startup entrepreneur in Tulsa fix this? Traction. Traction is the answer to these types of questions. An investor doesn’t think an idea has merit? Active and engaged users beg to differ. An investor doesn’t think the market is big enough? Revenue and traffic to your website paint a different picture. The founding team doesn’t have enough experience? Strategic partnerships and corporate clients says the investor is wrong. Investors can claim to be forecasting the future all they want. They can sit on panels, give speeches, write books, compose tweets, or even pretend to have Steve Jobs-ian market-making powers. They can say they care about the market. They can say they care about the idea. They might be the investor of your dreams, the one whose investment you are working day and night to secure. But don’t let ANY of that fool you – if you don’t have traction – you’ve got a .01% chance of receiving an investment from a formal Midwestern angel investment firm. The percentage of startups that fail is staggering. Determining the actual percentages is impossible. People have tried, but no one knows exactly. If they say they do – they’re lying or they’re not credible. The closest numbers are presented by The Small Business Administration (SBA), which counts the creation and/or failure of all companies regardless of whether it’s a babysitting company or a nanotechnology company. The SBA doesn’t delineate between the scalable startups and those that aren’t. Scale equals bigger opportunity but it also means more risk. So unfortunately, the failure rates for a scalable startup are much higher than even the bleak statistics suggest. have such a large exit that it makes them enough money to more than cover the losses. 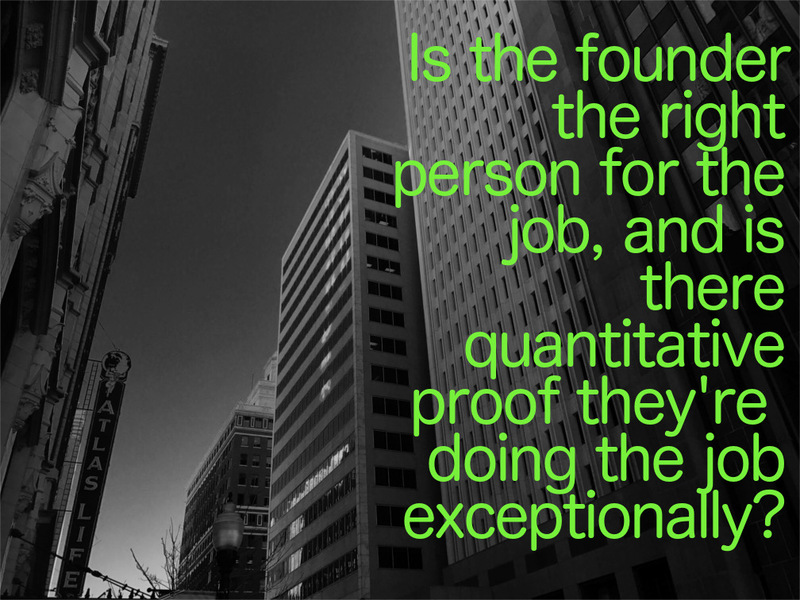 The average SUCCESSFUL venture capital firm experiences about one third of each. The next closest apples-to-sorta-apples comparison would be the success rates of startups that go through an accelerator. Why? Because accelerators work with companies/startups that are substantially earlier when it comes to their stage of business, plus they almost exclusively work with scalable ventures. So companies at this stage make for more relevant case studies than companies that are at the VC stage. Take for example Y Combinator, who would be considered the Yankees of the startup accelerator world. Justin Kan, one of their formal partners, recently revealed that about 5% of their companies “break them even”, 1% return fabulous returns, and the balance (94%) make them absolutely nothing. Let that sink in a minute – the most famously successful accelerator in the world is admitting to ONLY having about a 1% success rate, with their definition of success being a large exit. Why Did We Just Rant About Failure Rates For So Long? When it’s this mathematically hard to provide a return on investment to an angel or venture capitalist, they HAVE to put their chips on traction, not the idea. There is nothing quantifiable about an idea, whereas traction is one of the most quantifiable and accurate predictors of future success. Anything else is just gambling. You are just as capable as anyone else of acquiring traction for your startup. You just have to be cognizant of when the right time to start is. And usually…it’s right now. People spend far too much time dwelling on their lack of resources that they overcompensate by dolling up their idea in the form of Power Points, business plans, executive summaries, etc. But as we hope to have proven a bit, traction is all that matters. And the only way to acquire traction is to start. Once you have taken the plunge, the next step is to break up the vision into smaller pieces. Start with less features. Start with worse design. Start with less employees (or zero employees). Just start with whatever makes it possible to start. From there a natural evolution of your company will commence; traction will start to pile up; and angel investors will fly in from the heavens.